1 Arm Sleeve: $8.506-11 Sleeves: $8.25 ea.12 and up: $7.95 ea. 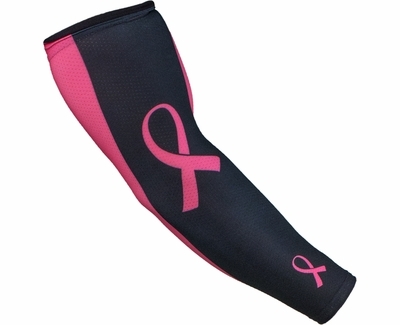 PINK RIBBON BREAST CANCER AWARENESS COMPRESSION ARM SLEEVE ... Show your support for cancer research with this Pink Ribbon Breast Cancer Awareness Athletic Compression Arm Sleeve. Pink Ribbon Performance Sports Compression Arm Sleeves provide an Ergonomic Tapered Fit, Graduated Compression, Wrist and Elbow Support, plus they Aid in Recovery Time and Reduce Muscle Vibration by using Power Compression Fabrics. These Pink Ribbon Arm Sleeves provide the perfect level of Compression to add warmth, improve muscle efficiency, and stabilize arm support - before, during, and after all athletic activities. Breast Cancer Awareness Arm Sleeve Material: 83% Polyester & 17% Spandex. Pink Ribbon Compression Sleeves are Sold (1) per Package (one sleeve). Care Instructions: Wash Separately, Machine Wash Warm, and Tumble Dry Medium. 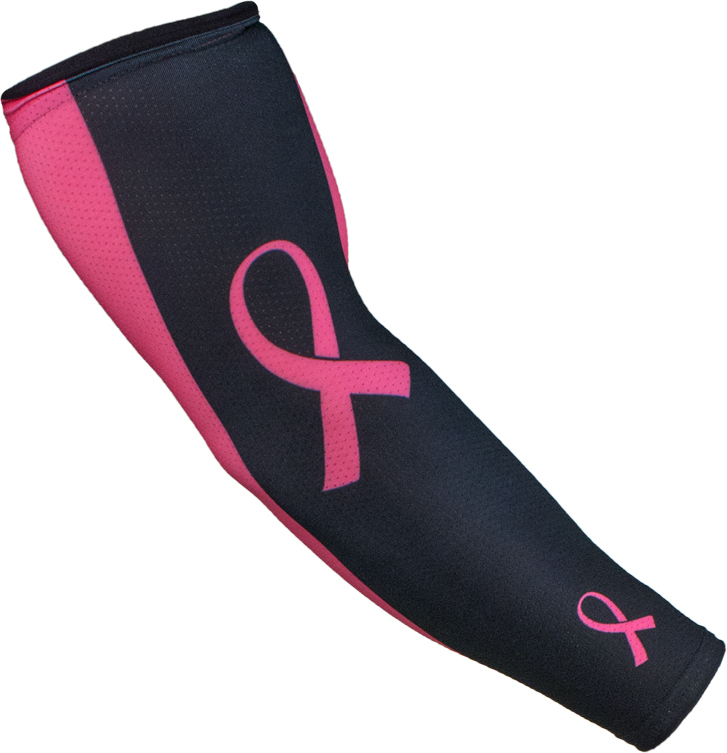 These Pink Ribbon Breast Cancer Awareness Athletic Compression Arm Sleeves provide improved endurance, arm stability, muscle efficiency, and help reduce fatigue, and most importantly can be worn while playing many Sports: Volleyball, Soccer, Basketball, Softball, Cheer, Track, Tennis, Dance, Lacrosse, Baseball, Football, Running, etc... so make sure to buy enough for the whole team. NOTE: We've done our best to show the true color of these Pink Ribbon Cancer Awareness Sports Compression Arm Sleeves, however since all monitor resolutions and brightness settings are different, these colors may look different on your computer screen. PLEASE call us if you have any questions about color-matching to uniforms, etc. Thank You.